How to Fix MS SQL Error 903 ? sysindexes contains one row for each clustered index, one row for each non clustered index, one row for each table that has no clustered index. This table also contains one row for each function-based index or index created on a computed column. SQL users generally invoke the sysindex to find index row, tables. Why MS SQL Server Error 903 Occurs ? You are having this kind of error due to directly or indirectly perform actions on sysindexes table for that database. Some cases are as follows that drive your database in MS SQL error 903 state. How to Solve SQL Server Error 903 ? Choose the following SQL repair methods to remove Schema corruption that exists in the database. Run DBCC CHECKDB and DBCC CHECKCATALOG. The perfect uncomplicated path to eliminate MS SQL error 903 is to use SQL recovery software which recover corrupt SQL database MDF file and also provide option to recover deleted tables of SQL Server database without any alteration. 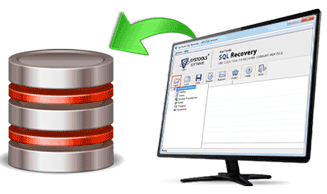 This intact SQL database recovery tool fix SQL error 903 abruptly and gives result oriented solution by creating a corrupt free new database copy.